Bruce never covered "Hey, good lookin' " live but he practiced it during some sound-checks. Sound-checked prior to the 14 Mar 1988 show in Richfield, OH, (as far as it's known) but it was not performed on any of the Tunnel Of Love Express Tour's regular shows. Sound-checked prior to the 18 Dec 2000 show in Asbury Park, NJ, (as far as it's known) but it was not performed on any of the 2000 Asbury Park holiday shows. 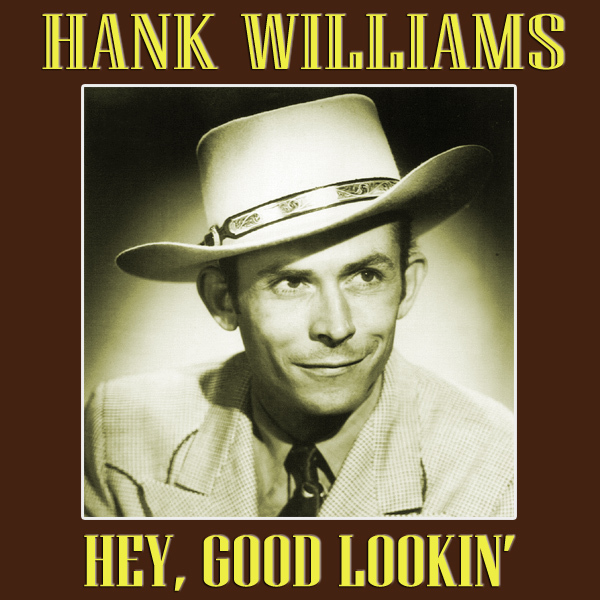 "Hey, Good Lookin' " is a 1951 song written and recorded by Hank Williams. The Hank Williams song was inspired by another song by the same title, which was written by Cole Porter in 1942. "Hey, Good Lookin' " was recorded on March 16, 1951 at Castle Studio in Nashville. The same session also produced the single's B-side "My Heart Would Know". Williams performed the song on the Kate Smith Evening Hour on March 26, 1952; the appearance remains one of the few existing film clips of the singer performing live. He is introduced by Roy Acuff and banters with a young June Carter. He is wearing his famous white cowboy suit adorned in musical notes. He performed "Hey, Good Lookin' " and joined in with the rest of the cast singing his own "I Saw The Light". The rare clip displays the singer's exuberance on stage while performing an up-tempo number, and he appears at ease in the relatively new broadcast medium of television.